TONIGHT'S OVI CHECKPOINTS-Downtown & German Village! 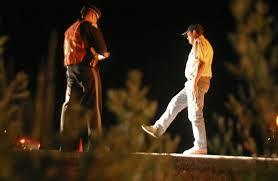 Columbus Police will conduct two sobriety checkpoints near downtown Columbus Saturday night and Sunday morning. The first will be operated on East Livingston Avenue at South Grant Avenue on Saturday from 9 p.m. to 11 p.m. The second will be operated on South High Street at Deshler Avenue on Sunday from 1 a.m. to 3 a.m.
Police selected both locations because of their proximity to problematic intersections. Stay with 10V and refresh 10TV.com for continuing coverage.